1. The African Development Bank (AfDB) is the premier multi-lateral development finance institution fostering economic growth and social progress in Africa. The AfDB’s primary goal is to reduce poverty and improve living standards by mobilizing resources in and outside Africa, and providing financial and technical assistance for development projects and programs in Africa. 2. The Human Resources Corporate Services Complex (CHVP) is committed to deliver world class client focused services. The Corporate General Services and Procurement Department, located within this complex, is one of the vehicles for delivering the services, goods, works, and real estate to the clients of the Bank. The Operations and Maintenance Division, CHGS.1 is responsible for formulating, implementing and monitoring policies and programs relating to facilities management, operations and maintenance, management of the Bank’s fixed assets and equipment, real estate and support to the decentralization Strategy of the Bank. 3. 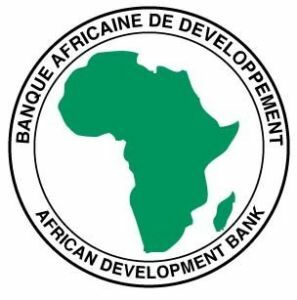 The African Development Bank is in the process of purchasing its offices currently occupied by its Regional Directorate South and Business Continuity facility namely Blocks A-F situated on 339 Witch-Hazel Avenue Centurion, Pretoria. The property under question measures 12,720 sqm. 4. As a result of the impending purchase, the Bank invites Architectural Engineering Firms to indicate their interest in the following Assignment: The provision of architectural and engineering services in the design and supervision of the project to custom outfit Blocks A, B, C, D & E within the property, situate on 339 Witch-Hazel Avenue Centurion, Pretoria to meet the requirements of the Bank. (i). Technical assessment of proposed office premises and provision of an “As-Is” reports (ii). Preparation of detailed designs and Bill of Quantities for the new office layout based on user requirements, (iv). Assistance in preparation of Statement of Works, and procurement of work contracts and (v). Supervision of the outfitting works and rectification of defects during a one year defects liability period. 6. The General Services and Procurement Department (CHGS), acting through the Operations and Maintenance Division (CHGS.1), invites Consulting Firms to indicate their interest in providing the above-described services. Interested eligible Consulting Firms or associations of Consulting Firms shall, in no more than five (5) pages, provide information on their qualifications and experience demonstrating their ability to provide the services (documentation, references for similar services, experience in comparable assignments, availability of qualified staff, etc.). 7. The eligibility criteria, the establishment of a short list and the selection procedure shall be in conformity with the Bank’s procedures for the acquisition of consulting services funded by the administrative or capital expenditure budget and are available on Bank’s website at the address: http://www.afdb.org/en/projects-and-operations/procurement. 8. This expression of interest notice exclusively seeks to prepare a shortlist of consultants to be consulted for proposals. 9. Please, note that interest expressed by a Consulting Firm does not imply any obligation on the part of the Bank to include it in the shortlist. The Bank will also not be required to give reasons for the rejection of any consulting firm. 10. The Bank reserves the right to modify, amend or cancel this expression of interest notice at any time during this process. 11. The estimated duration of the services is twenty months, inclusive of 12 months Defects Liability Period and the estimated starting date is 15th May 2019. 12. Interested Consulting Firms may obtain further information at the address below during the Bank’s working hours: Monday to Friday, 08.00am to 12:00noon and 2.00pm to 5.00pm. 13. Expressions of interest must be received by e-mail at the address below no later than Monday, 15th April 2019, at 16:00hrs Abidjan time (19:00hrs Pretoria time) and specifically mentioning the subject title above.